Home / County Politics, News / Shock as DPP NOORDIN HAJI reveals the most corrupt and least corrupt tribes in Kenya-You won’t believe this; it is a shocker! Shock as DPP NOORDIN HAJI reveals the most corrupt and least corrupt tribes in Kenya-You won’t believe this; it is a shocker! Thursday March 14, 2019-The Director of Public Prosecution (DPP), Noordin Haji, has shared damning statistics regarding corruption cases based on tribe. 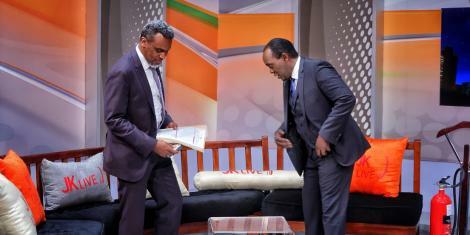 During an interview on the popular Jeff Koinange Live show yesterday, Haji brought along a file that contained the aggregated corruption numbers based on ethnic lines in response to accusations by some political factions that his office was targeting a particular tribe. “I don’t want it to look like I'm getting this numbers from my head, these are our statistics of accused persons by ethnic tribes,” he disclosed. 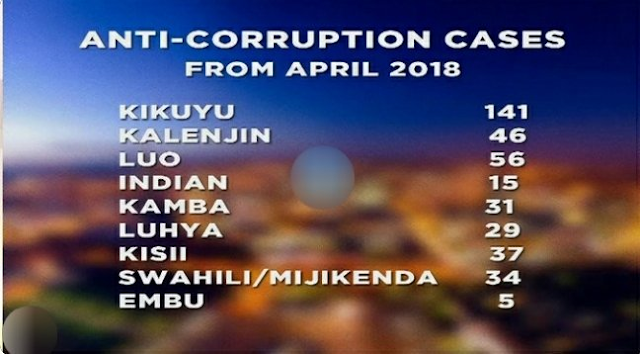 According to Haji, Kikuyus are the most corrupt with 141 cases, while Embu had the least with just only 5 cases. Luos came in at second with 56 graft cases with the Kalenjin community ranked as third with 46 cases at the DPP’s office. He went on to state that the numbers gathered relating to corruption cases only covered a period of less than a year. “So who I’m I targeting you tell me, and this is just from April 2018 when I came in,” he divulged. What are their statuses DPP? Granted all have serious damage to our national economy. Tiny weevils can clean a barn of cerals just devastatingly as the huge rats. Still we need to know the weight of responsibility. No need to to kill all the worker bees and leave the queens busy producing replacements. DPP needs to match his efforts with weighty prosecutions not just focusing on filing clerks and assistants while leaving executives. Nab and prosecute them all bila kujali tribe ama status!